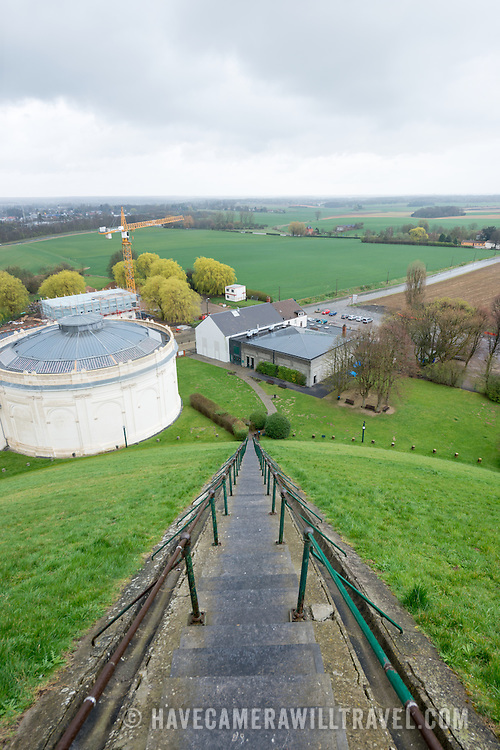 Steps leading to the top of the Lion's Mound (Butte du Lion), an artificial hill built on the battlefield of Waterloo to commemorate the location where William II of the Netherlands was injured during the battle. The hill is situated on a spot along the line where the Allied army under the Duke of Wellington's command took up positions during the Battle of Waterloo. At left of frame, the white cylindrical building houses the Panorama.